Angelina Jolie And Shiloh Photographed Hanging Out At A Public Park: Is She Already Transitioning Into A Boy? Since news of Angelina Jolie and Brad Pitt's messy divorce broke, the focus has been on their back and forth legal trouble. We had pretty much forgotten about their children until hours ago when a photo of Shiloh emerged. The photo shared by a fan page showed both Shiloh and mom sharing a genuinely happy laugh at a fun park where they got to try out the merry-go-round. This was not some exclusive place only celebrities frequent from the looks of it. They were surrounded by other fun seekers having a good time as well. Jolie is really putting some effort into creating a healthy space for her children after a sudden change of strategy weeks back in her custody battles with Brad Pitt. She recently changed legal counsel and hired the services of a high profile lawyer, Samantha Bley Dejean, whose expertise is "the best interest of children." It was revealed that she wanted to focus on her children and healing. 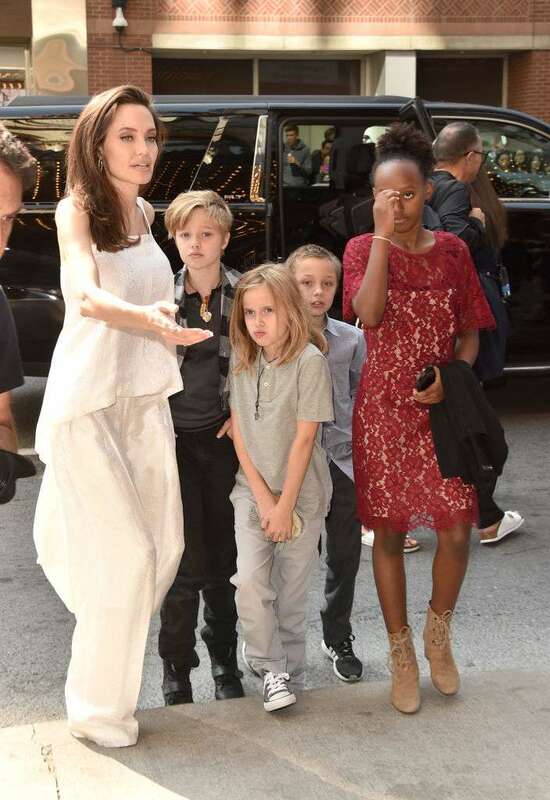 Jolie was recently out and about with Zahara and Maddox and now, she has been photographed hanging out with Shiloh who, by the way, looks to be making progress with transitioning into a boy. The family is yet to make an official statement about this, but it's nice to see them so happy. Thoughts? READ ALSO: 2 Years After The Split: Are Angelina Jolie And Brad Pitt Finally Ready To Finalize Divorce?